This book is available as a downloadable eBook as well as paperback on Amazon.comRegularly $19.95, the Cyber Week price is just $14!! This course is over an hour of instruction with 9 videos! You’ll learn how to get your Facebook business page up and running correctly, how to make a cover image, get more followers and there’s an introduction to using Facebook ads. I will also be adding more videos on how to use Facebook ads effectively, which is included with your purchase since you get lifetime access to the course!This course is normally $29.95. Cyber Week price is just$21!! 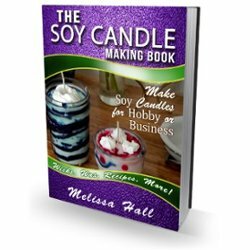 Normally priced at $10 per month subscription, you can get your candle business listed in our directory for just $7 per month when you subscribe from now through Friday 11/30! You get up to 6 photos and 2000 words, plus I will share the directory once a month to all my social media accounts! Want to list your business and get more exposure? Click Here!